Ireland’s Ancient East is the birthplace of Halloween long before it became a commercial global event. It all started in the Boyne Valley, Co. Meath 3,000 years ago on the hill of Tlachtga, now called the Hill of War. The druids believed that Tlachtga was a sacred place closely linked to the spirit world. On the feast of Shamain a great fire was lit at Tlachtga and torches carried to ignite fires at seven other hills across Ireland including Tara and Loughcrew. On the 31st of October, the feast of Samhain marked the end of the harvest season and start of the darker winter season. The Celts believed that on this night the boundary between our world and the spirit world was at its thinnest, with spirits and demons easily able to pass between the two. Traditionally people wore costumes to blend in with the the spirits from the other world and ward off evil – the origins of today’s spooky dress. Bonfires were central to the festivities and the tradition of pumpkin carving comes from the practice of carving devilish faces in turnips and hanging them – as the Celts had done with the heads of their enemies in times of war. As Co Meath is the birthplace of Halloween it is only fitting that it is also home the biggest Halloween festival is Ireland, the Spirits of Meath. If you want to get to the roots of Halloween then this is the place to go. There are a myriad of events taking place in venues and at ancient Celtic sites around the county. Highlights include Tayto Park Terrors, Pumpkin Patch & Bounce and Farmaphobia Scream Park. For the traditionalist there is the Flame of Samhain festival at Tlachtga (Hill of Ward) or a Samhain Tour of the Hill of Tara. Click here for a full line up of events. At the heart of Wicklow town the historic Gaol is one of Ireland’s most haunted buildings. 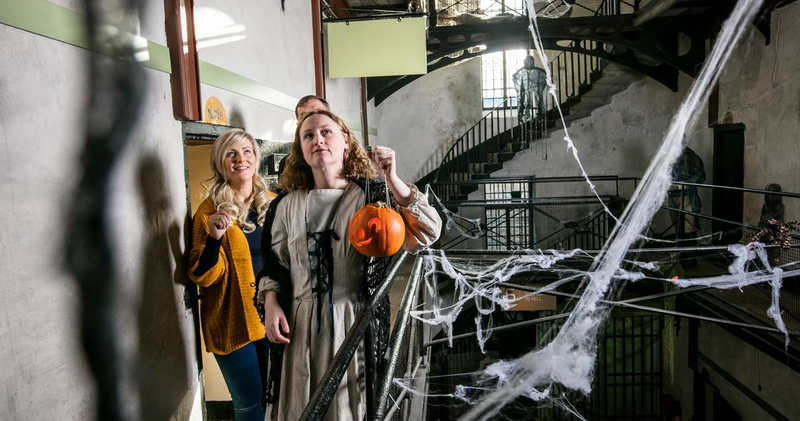 The Gaol has a full programme of events for Halloween. Join their Paranormal Investigation (not for the fainthearted) to uncover evidence the spirits who wander the corridors and inhabit the cells. For more exciting things to do in our home county read our Halloween in Wicklow post. This is the perfect Halloween activity to enjoy from the warmth and safety of your Lazy Days Camper! Experience Scream, Nightmare on Elm Street & The Conjuring by night and Labyrinth and The Goonies by day. Refreshments are available for purchase before & during the movie and you can listen to the movie on your car stereo! Tickets available here. Prepare for an extreme fright night during the full ‘lockdown’ experience at Loftus House, Co. Wexford! The Halloween Paranormal Investigation night explores the most haunted house in Ireland on the very night when spirits move freely into our world. The Loftus Hall lockdown starts at 8:30pm with a full briefing and runs to 3:30am. Parts of the house not normally open to the public will be accessible for all souls on this night! Adults only 18 or over. 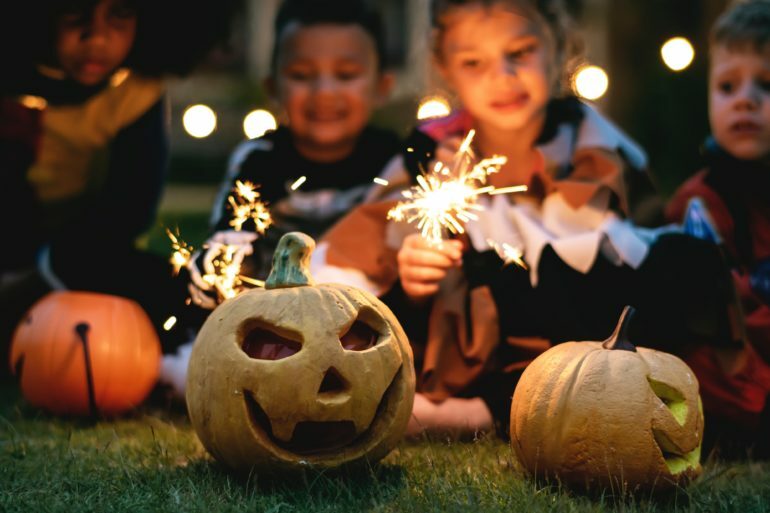 These are only a small handful of the Halloween events taking place across the country. For a more comprehensive listing please visit Ireland’s Ancient East website.